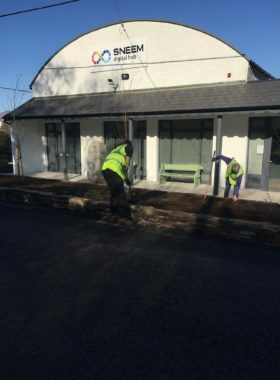 News From Kenmare Area – Focus on Sneem – South Kerry Development Partnership CLG. 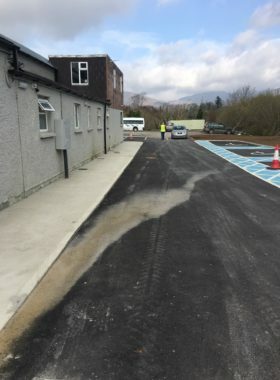 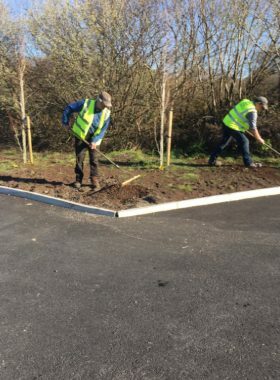 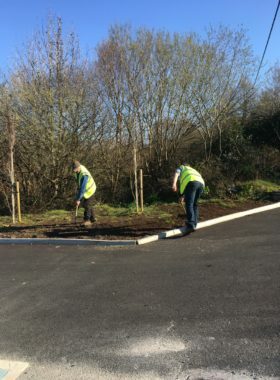 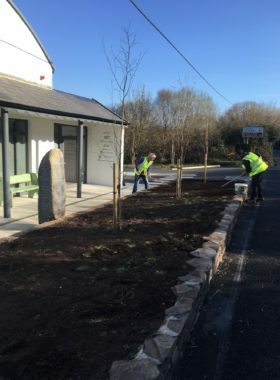 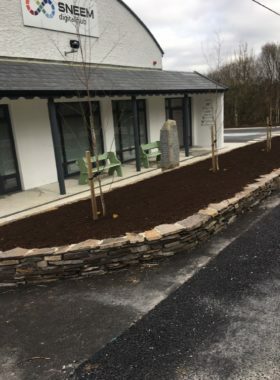 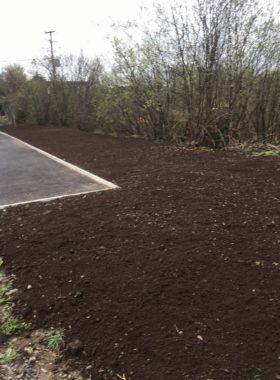 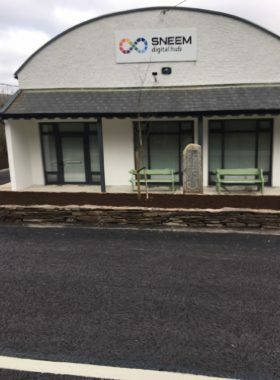 The attached photos, taken by Kenmare area Supervisor John McCrohan show our RSS participants preparing the grounds of the Sneem hub for the official opening yesterday (Monday 1st April) by Minster Brendan Griffin T.D. 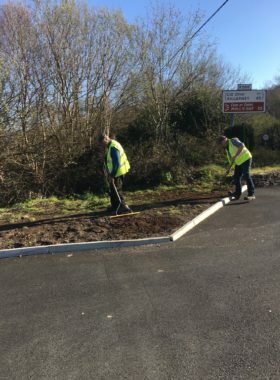 Our two local RSS participants from Sneem were augmented by their two RSS colleagues from neighbouring Templenoe and the four completed the work in good time and to a very high standard. 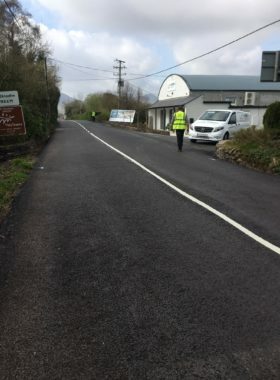 The four participants were again deployed doing traffic control on the day of the opening and again all went smoothly.